Hello world! Goodness, it’s been a while since I last did a post, hasn’t it? The last one I remembered releasing was the one about Eevee and Co., and today I learned that I actually had posted another chapter of Between the Shadows. Oh dear. Before we kick off this celebration, I suppose I have some explaining to do. It was suggested to me (by my loving mother) that I drop a lot of the stories I used to be working on, because they were a pretty big source of my anxiety. And so, I’ve cut them all out. Now that I’ve done this, I have a lot more time to focus on other things in my life, like hanging out with my family, playing video games, watching TV (Yu-Gi-Oh forever! ), and basically just taking a month-long detox. Now that my detox is over, it’s time to get back to writing! “What will you write about if you’re not writing stories,” You ask? Well, who ever said I stopped writing stories? I’m still making them, however the only story I’m currently writing is still really in development, and it probably won’t surface here for a while, if at all. In fact, things are so up in the air about it at the moment, I don’t even really have a title yet. Of course, that doesn’t mean I’m just going to leave my blog dry and empty while I work on my new story, though. After all, what fun would that be? Some of you might have noticed that this post’s header image is a picture of Link and Midna inside the Sacred Grotto from The Legend of Zelda: Twilight Princess. That’s because early next month, The Legend of Zelda: Twilight Princess HD is coming out, and boy am I psyched. 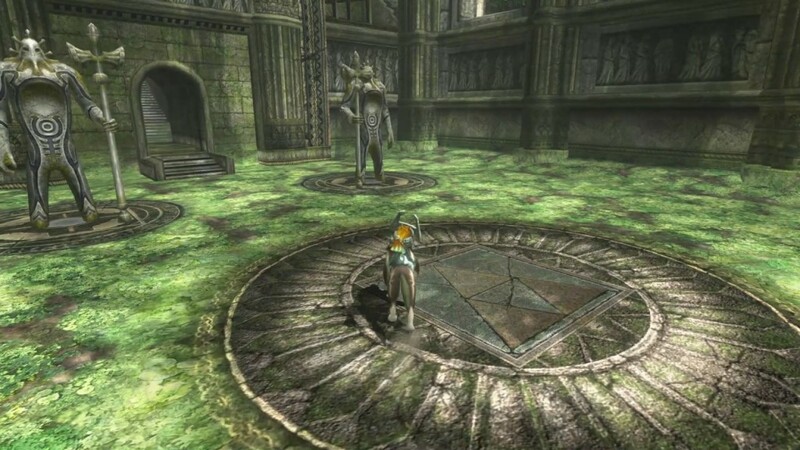 Much to some of my friends’ dismay (*cough* Maxwell *cough*), Twilight Princess is one of my favorite games in the series. That means that when Twilight Princess HD was released, I was super stoked. Then again, I was a little worried too; what if they had dumbed things down, hurt some of the things I had loved most about one of my favorite games in the series? That’s why I’ve decided to point my blog back to one of the things I love most in the world: video games. I mean seriously, with a domain name like TriforcePower.com, how could I not post about video games? So not only will I be posting several theories on a variety of series (Ooh, a rhyme! ), I’ll also be reviewing several games in the Professor Layton series in the order I played them, and I’ll be doing a series on Twilight Princess HD, giving my opinion on each dungeon as I play them and revealing the differences between the HD version and the original GameCube version (because really, the GameCube version is not only canon, but also better).